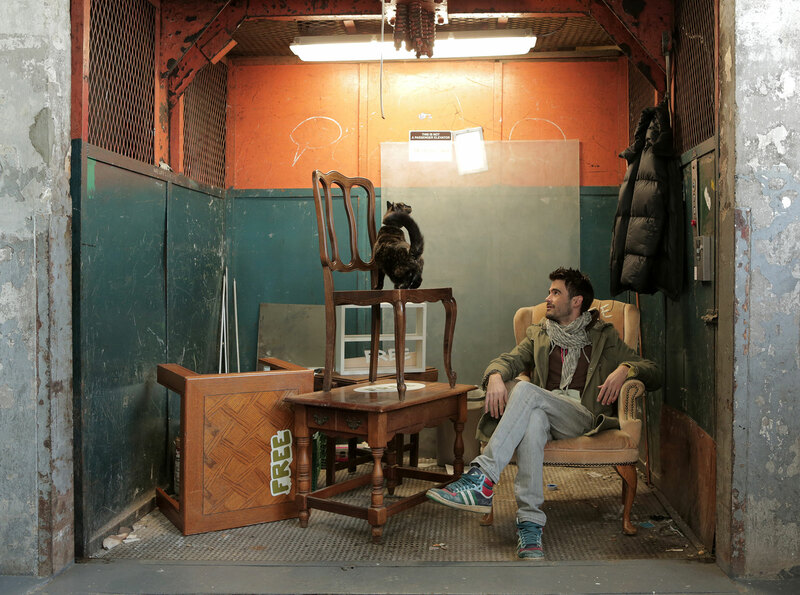 For years, I have been finding in the city of New York and its people an endless source of inspiration which nurtured many of my projects. 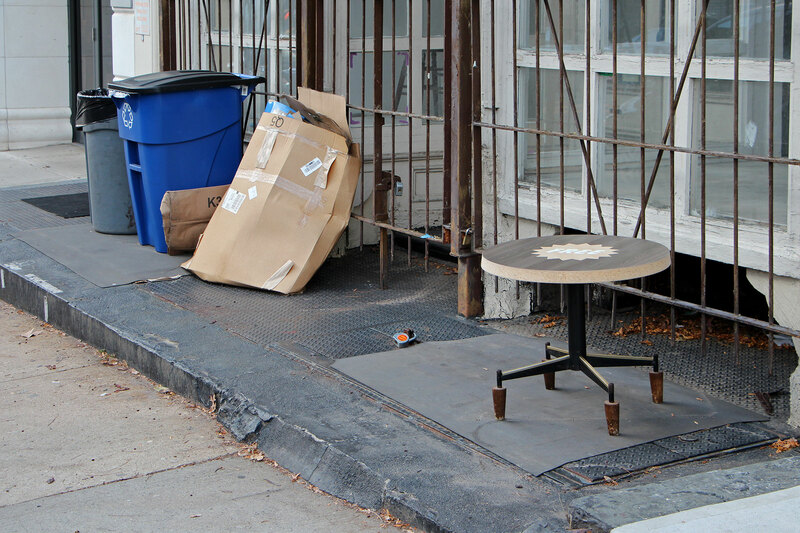 At some point, I wanted to give back to the city and its people. 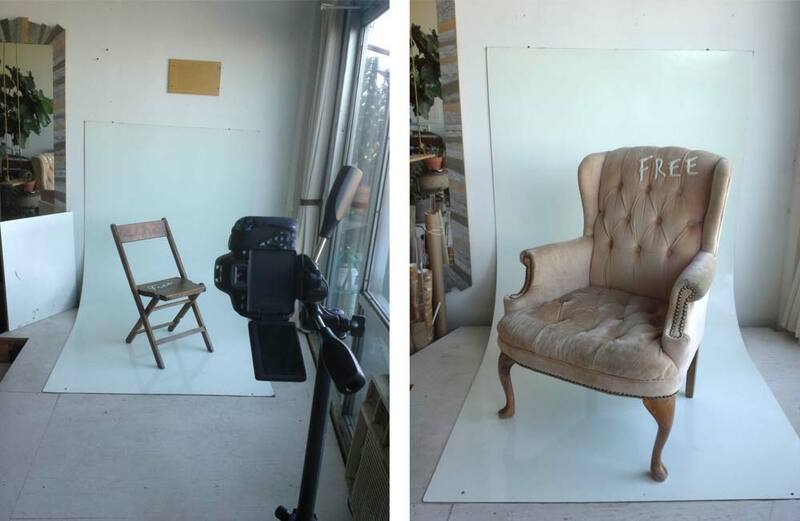 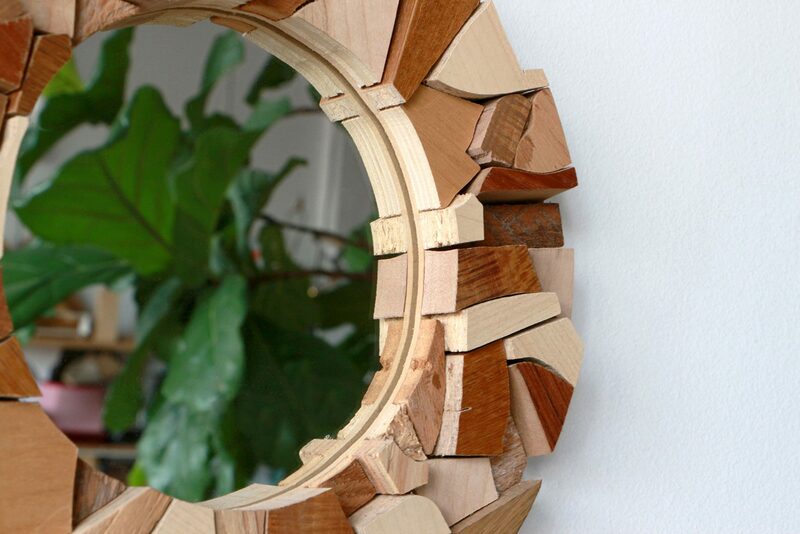 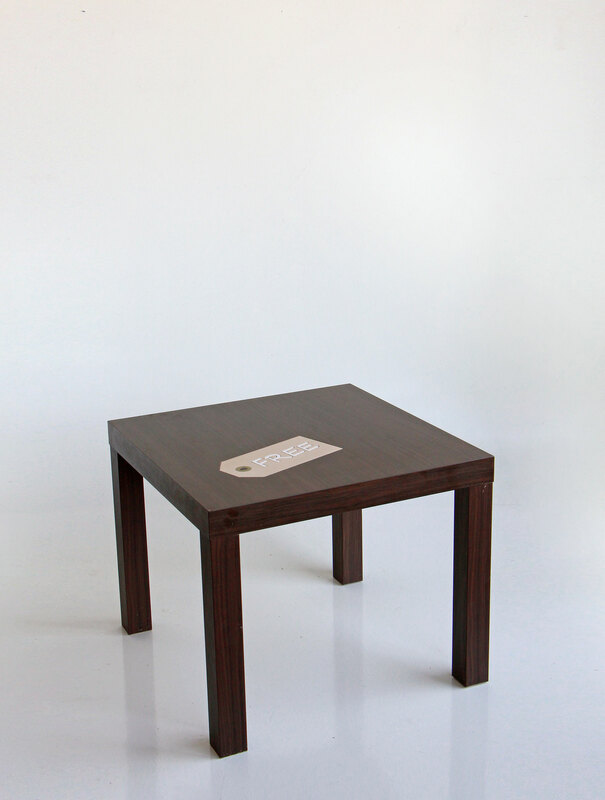 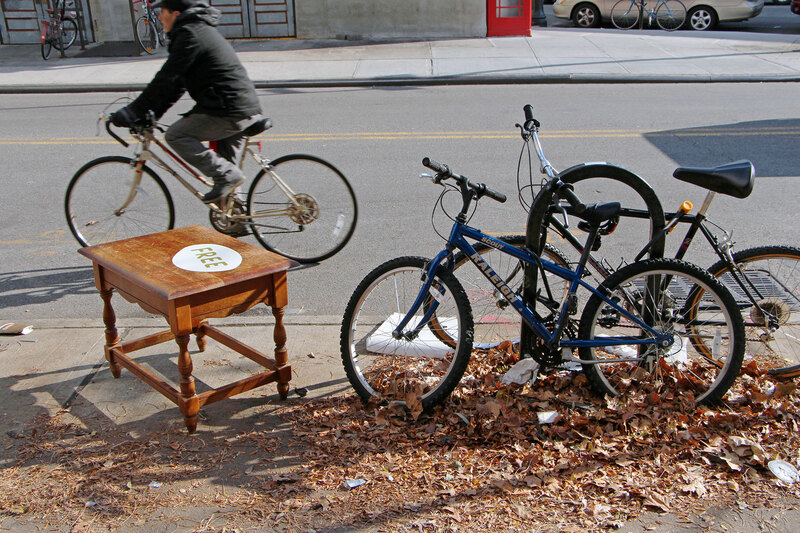 I started to collect pieces of furniture that were abandoned or thrown away on the sidewalk. 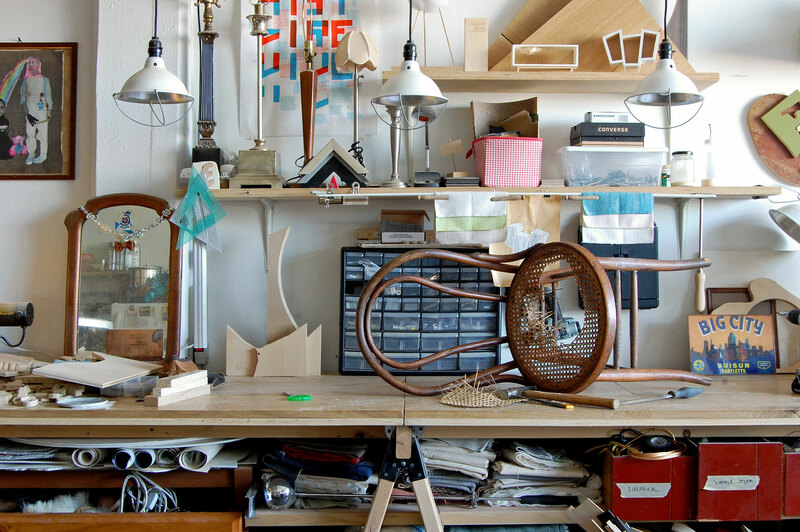 One by one and over the course of a few months, I brought a total of twelve to my studio and thought of ways to turn them into meaningful gifts. 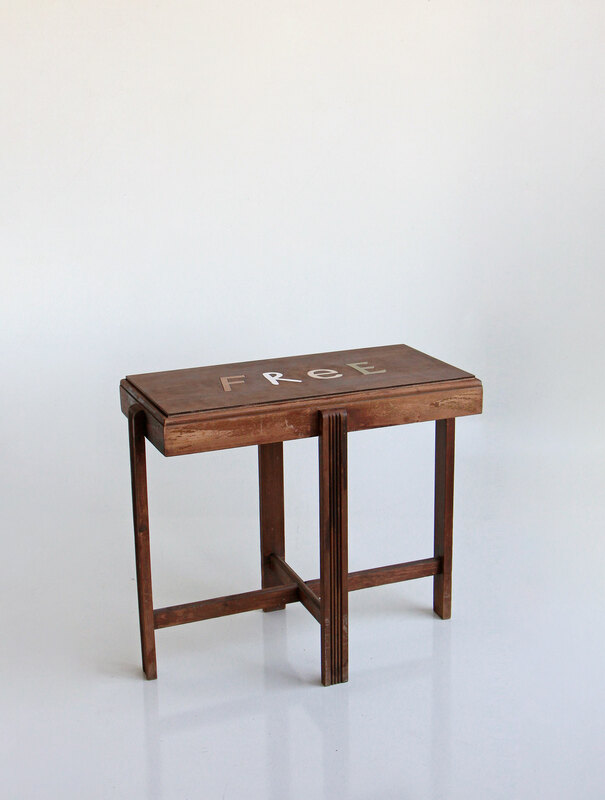 Inspired by the crafts of marquetry and embroidery I embedded on each of them one word, four letters : “FREE”. 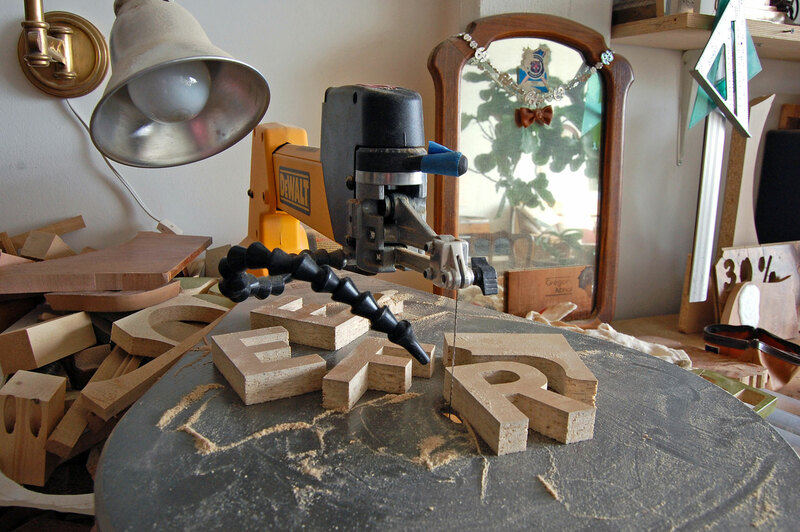 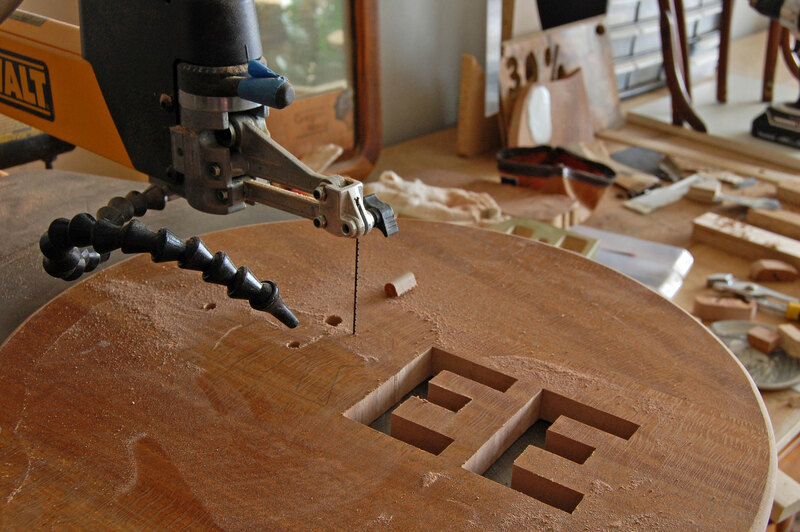 Every letter were drawn, traced, and cut by hand, so none of them looked like the other. 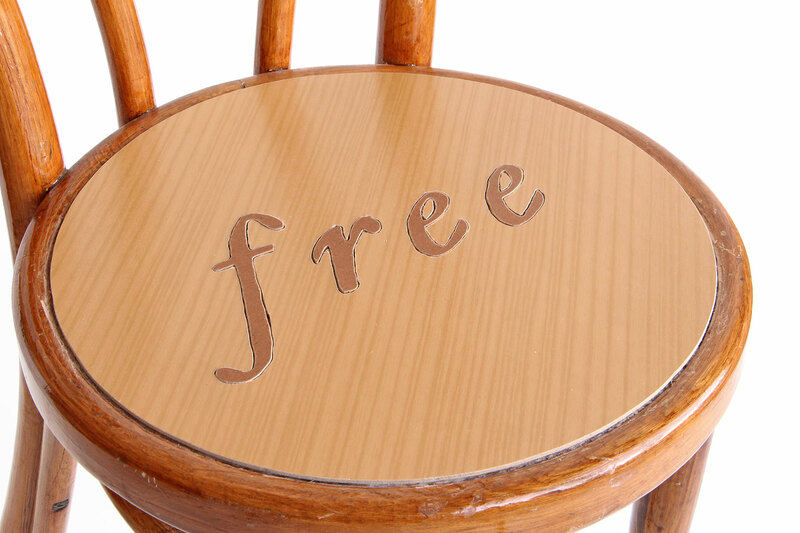 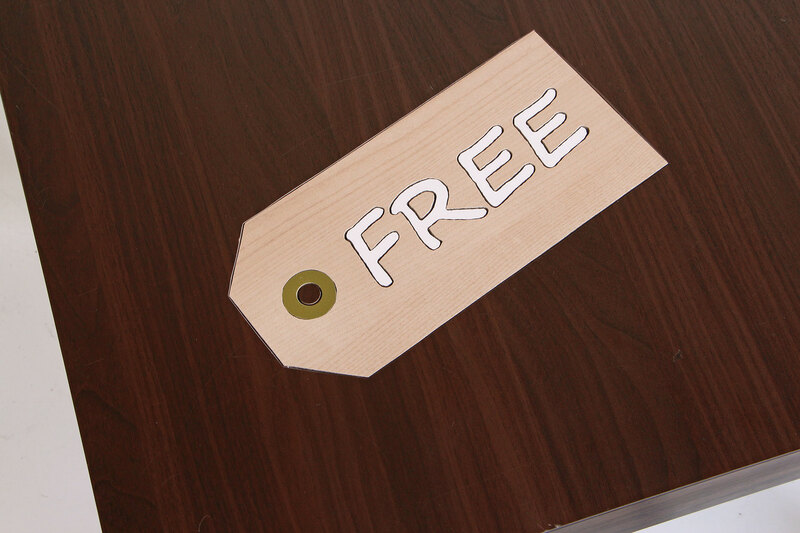 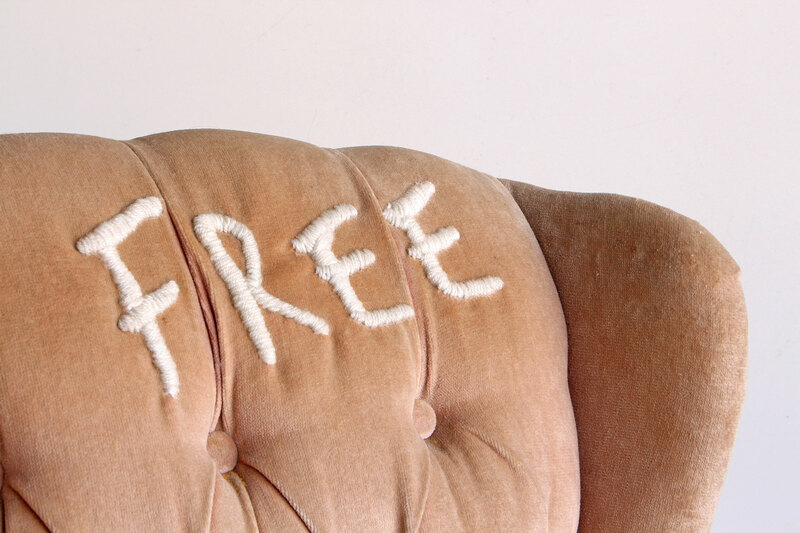 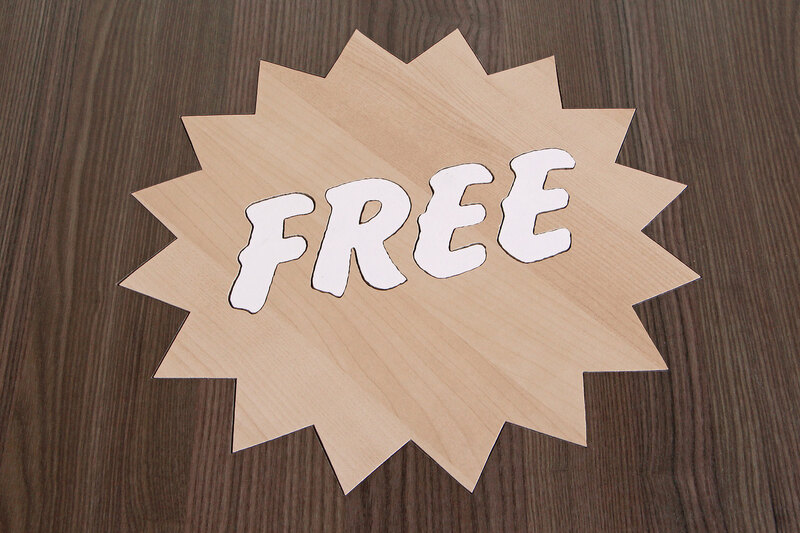 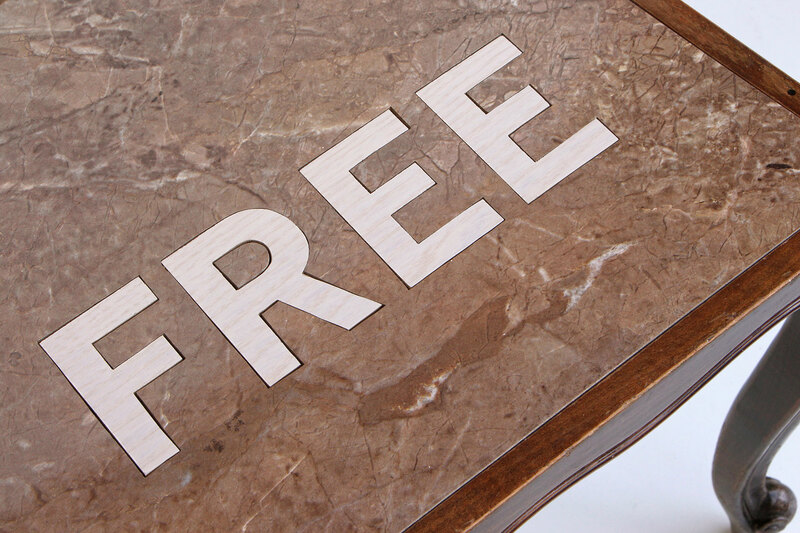 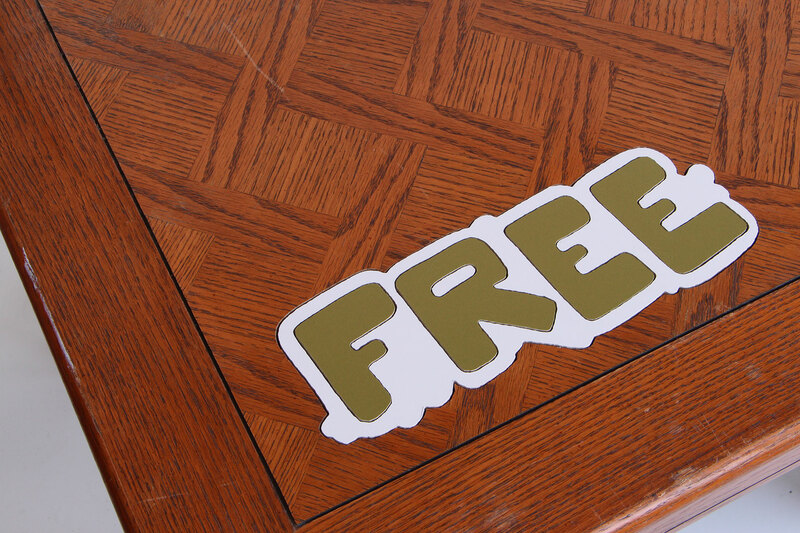 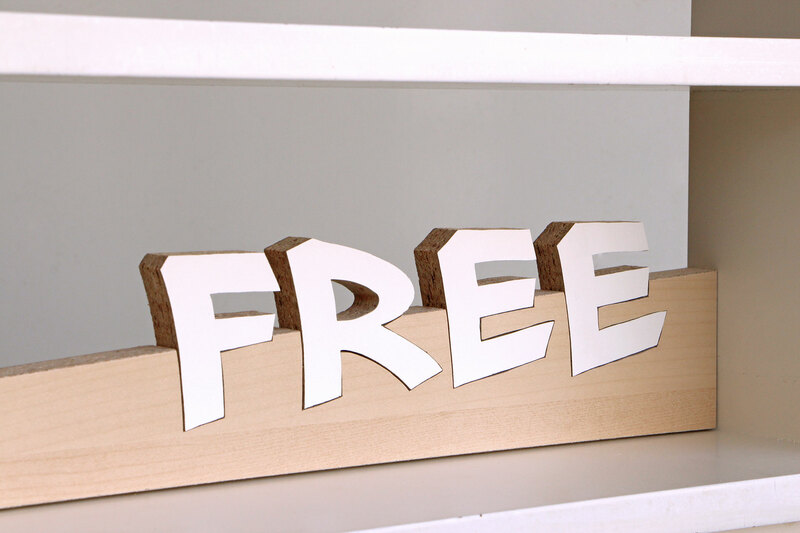 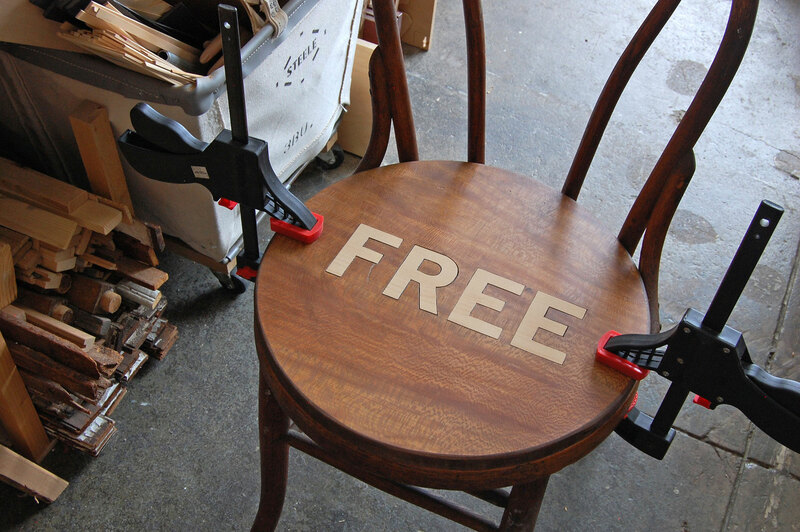 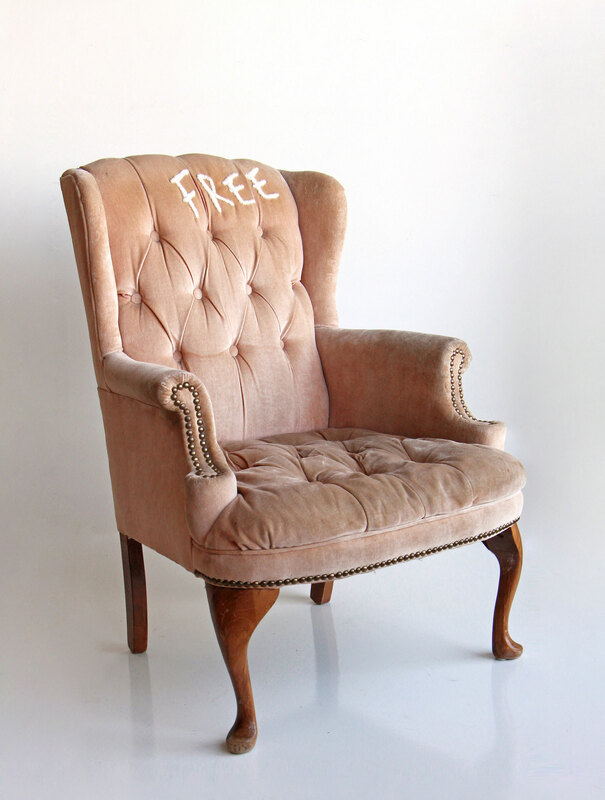 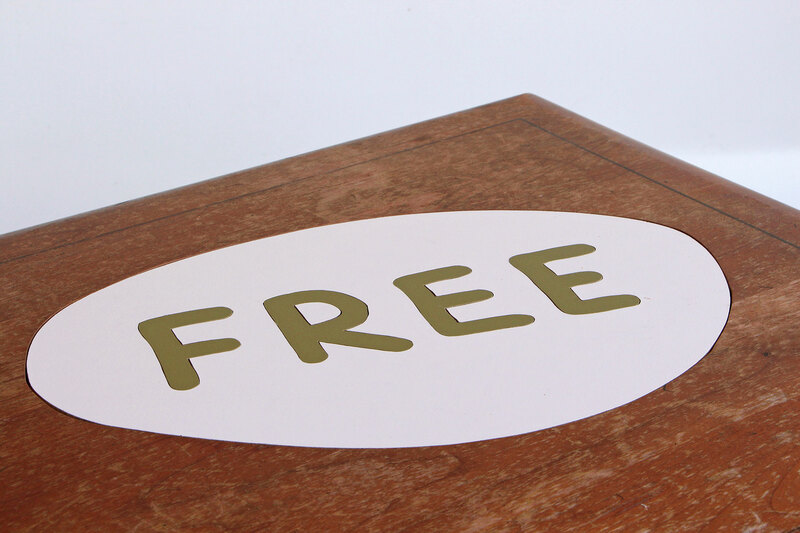 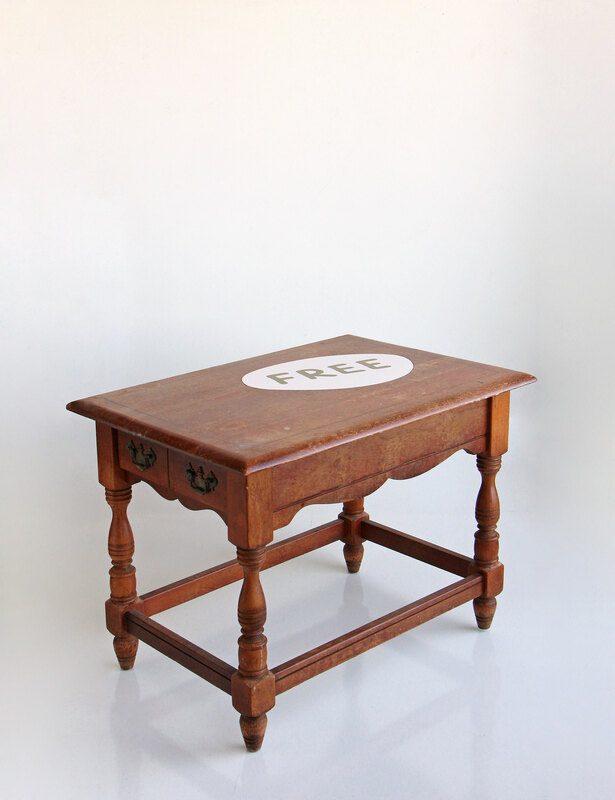 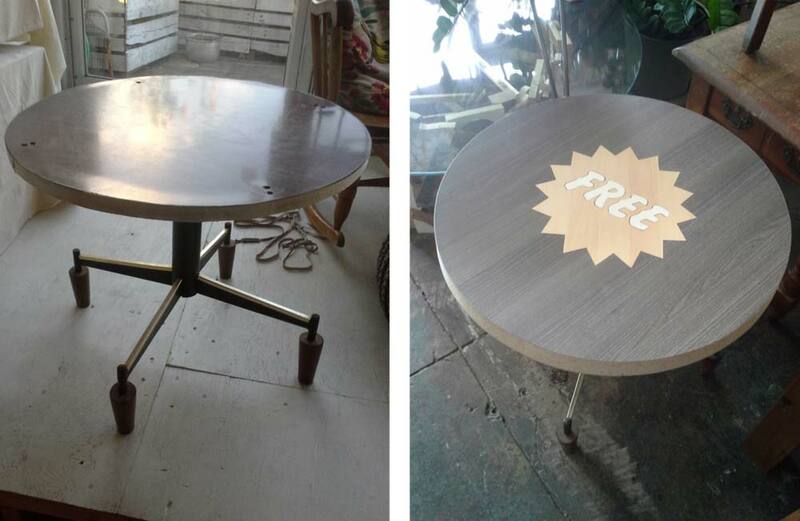 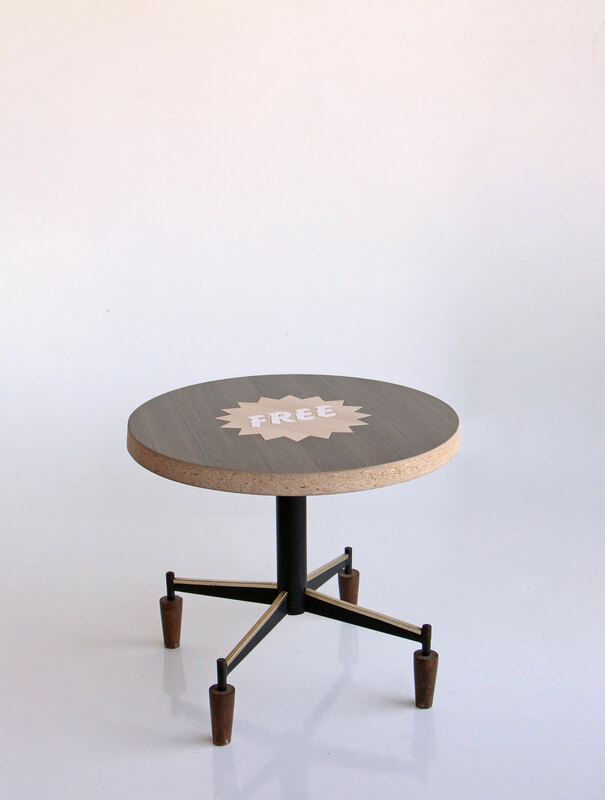 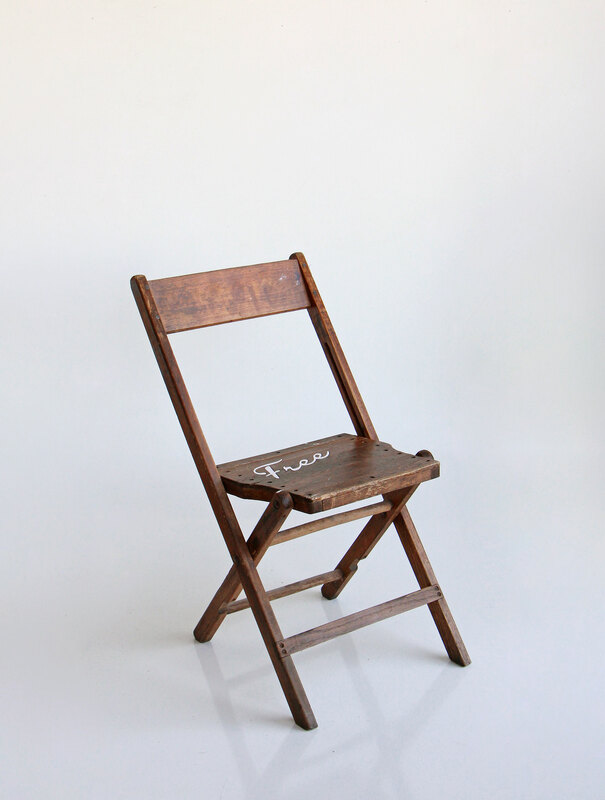 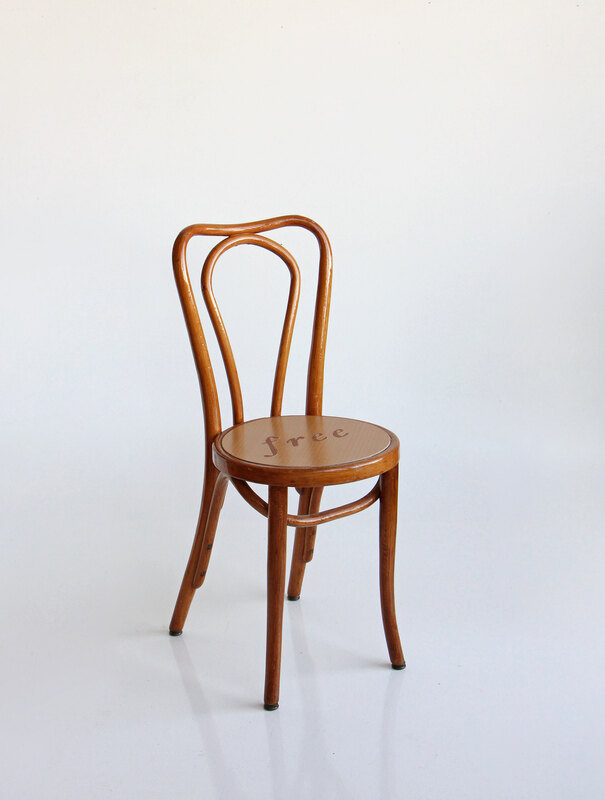 Big, bold, playful but at the same time carrying a genuine message, "FREE" is an invitation to slow down, take a closer look and eventually take the piece of furniture with you. 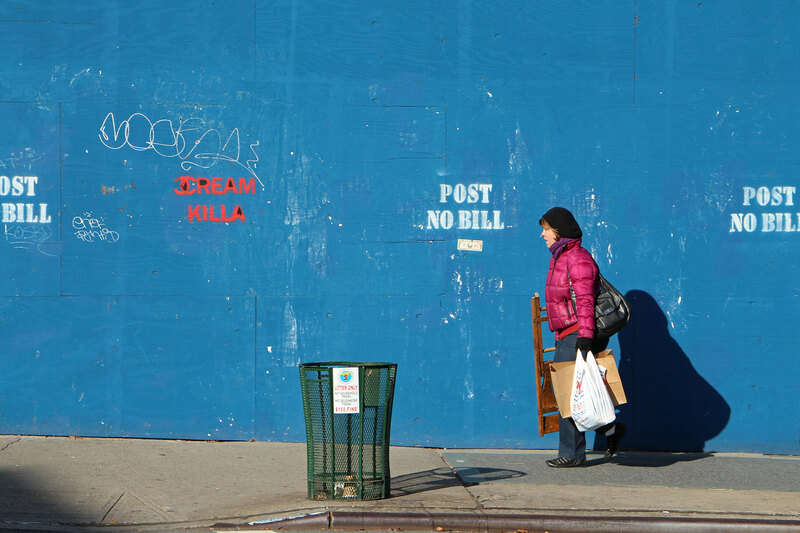 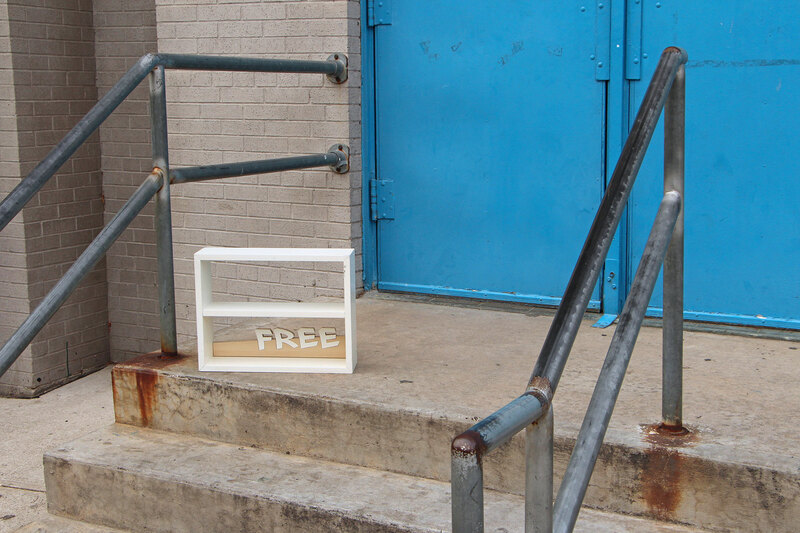 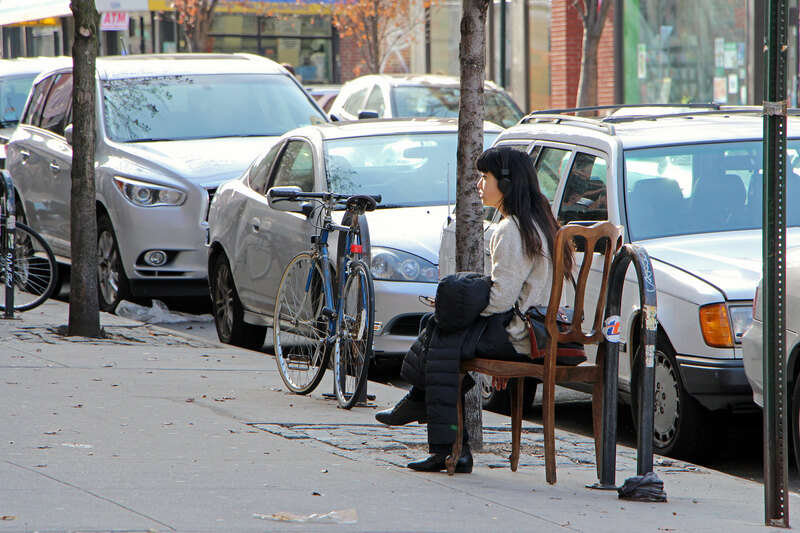 On Black Friday, I randomly released the 12 "FREE" pieces of furniture back on the streets of New York. 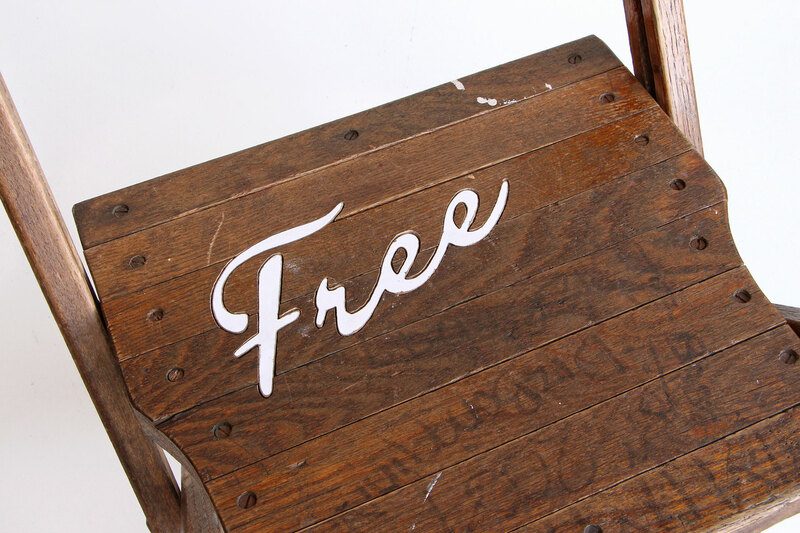 On a day where people of New York are surrounded by messages to buy new stuff at a discount, I wanted instead to give away usable objects for free on such occasion, hoping that my "FREE" furniture brings a different kind of joy to people on this day. 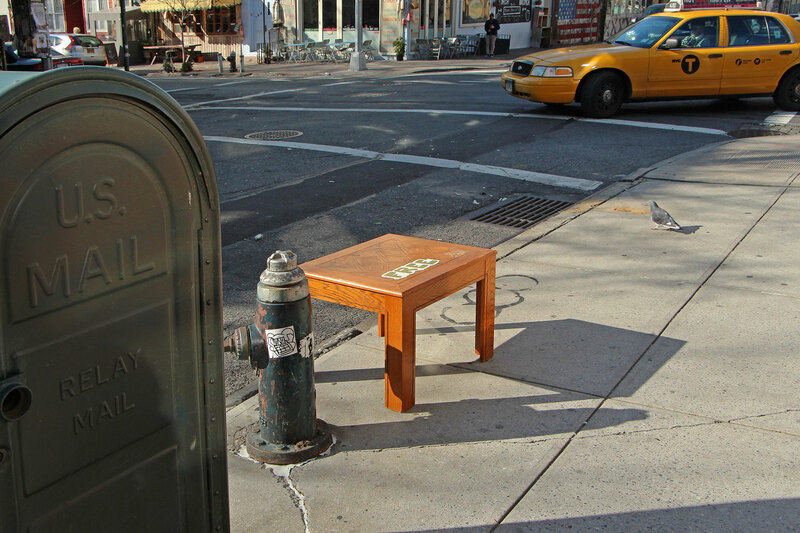 New York is full of this kind of unexpected encounter that leaves us a smile - I hope that the "FREE" furniture have given delight to some people that day. 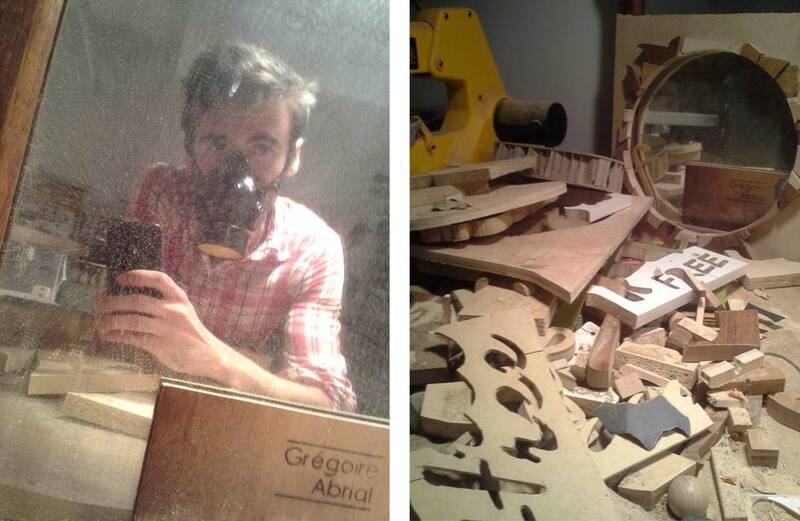 Within moments of releasing the pieces, I went to hide and observe. 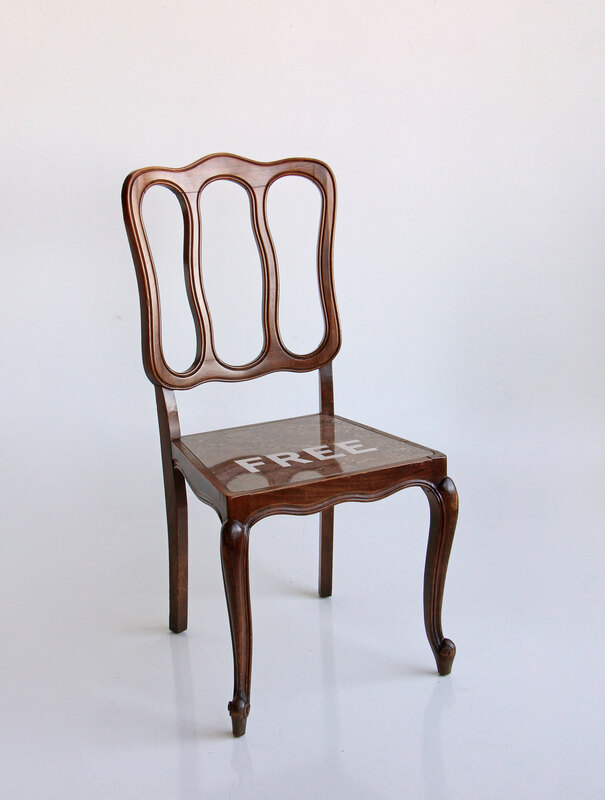 A woman went through a phone call on one of the chair. 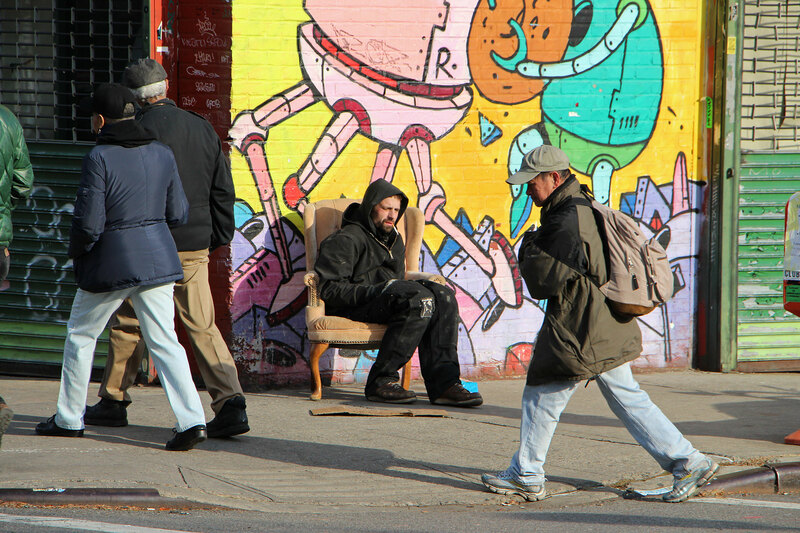 A homeless man found rest in another chair. 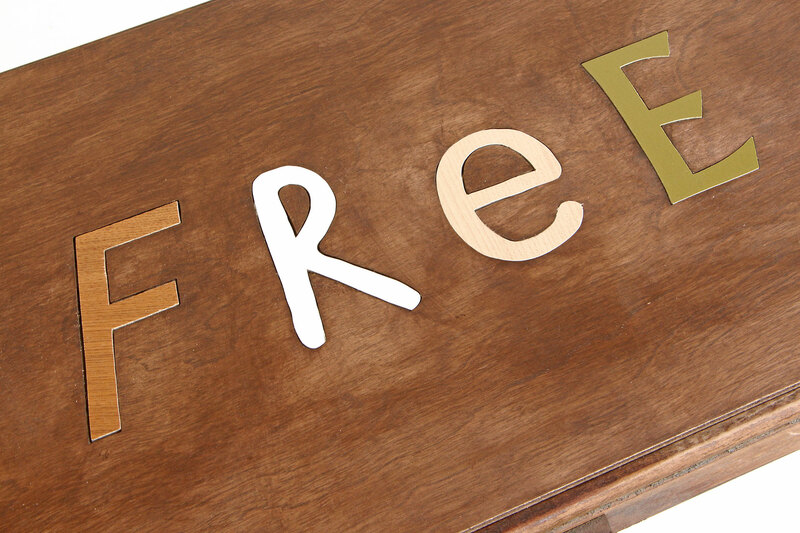 An child pointed out to his mother with grocery bags the letters on a table. 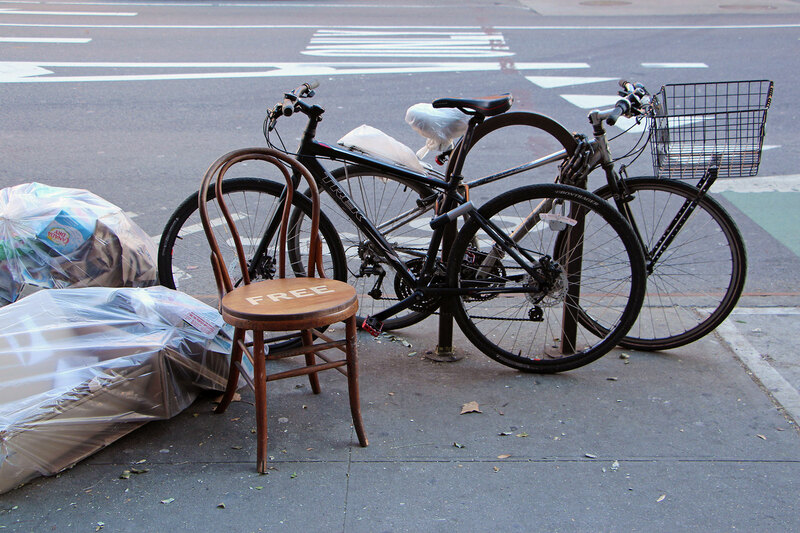 Two girls stopped to take picture. 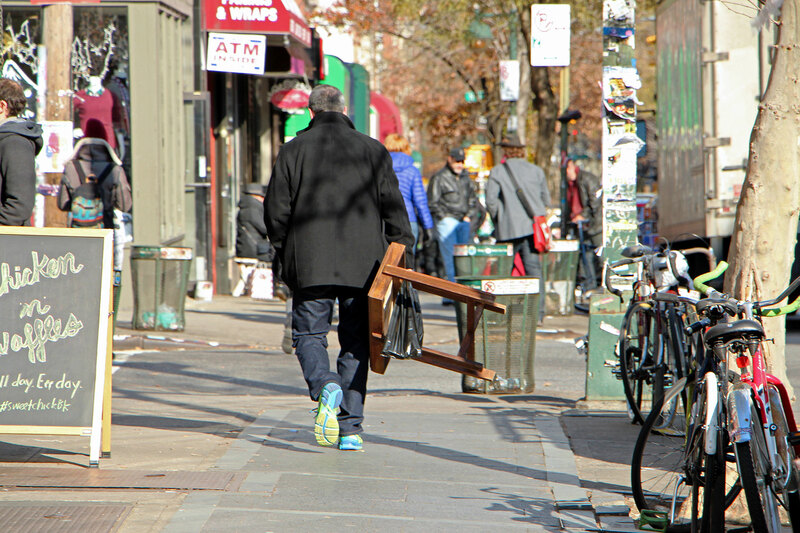 An older woman folded the chair and brought it with her. 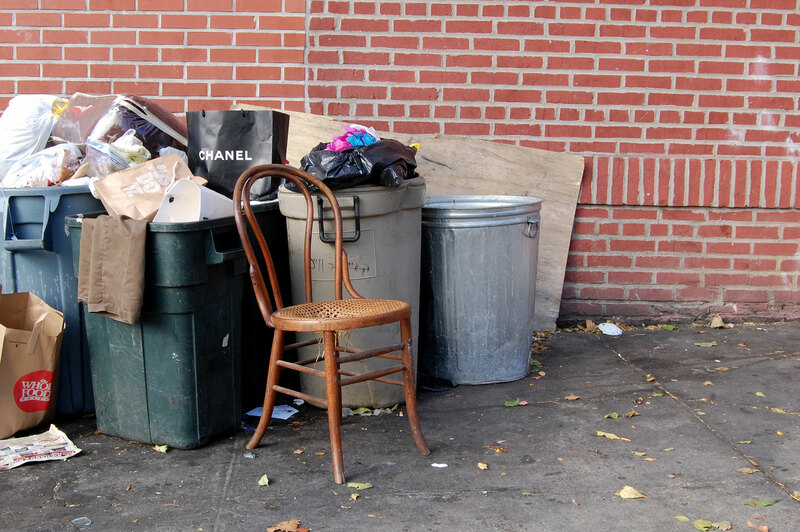 Bright Friday tells the story of all of those items we throw away in the fast spin of modern consumerism. 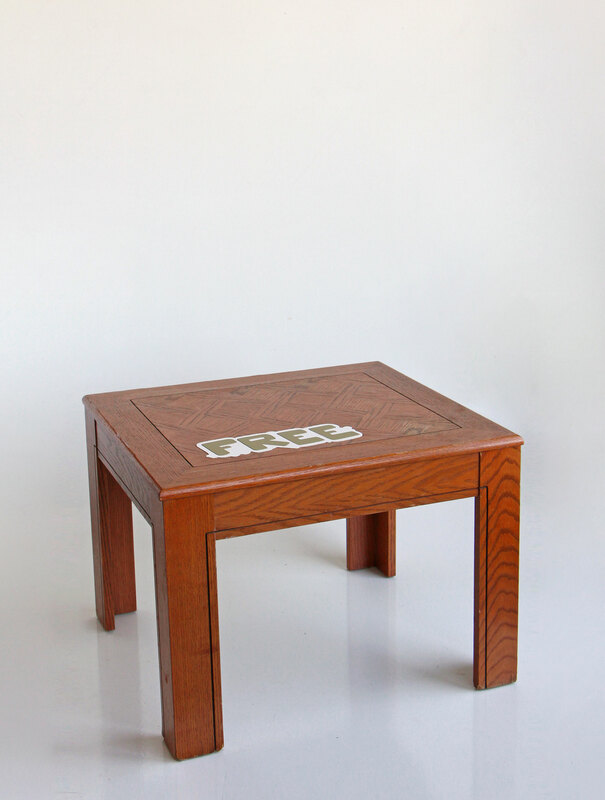 It serves to remind us of a connection that we can have with an object once we put thought, labor, time, curiosity and desire into it. 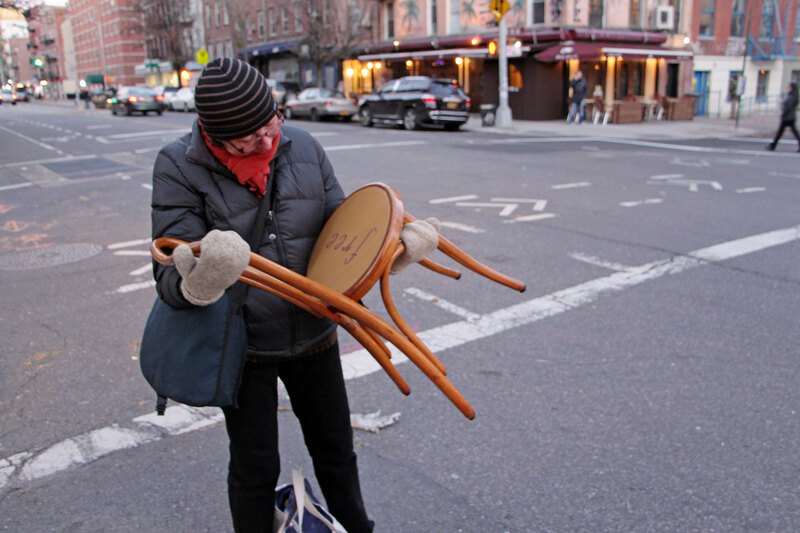 Besides the twelve people in New York who picked up these small gifts that I offered as an anonymous stranger, I hope that this project will inspire people to keep looking around for small wonders.